For my suggestions, I'd run more of the lords/tribal effects (vampires have a ton), and cut some of the more vanilla vampires. 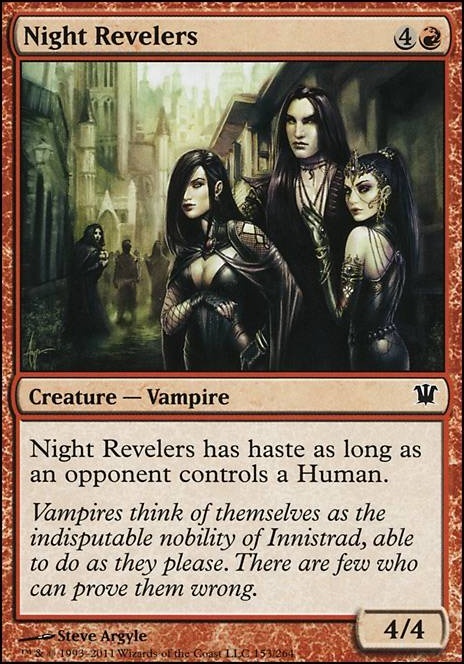 I'd search gatherer for any card containing the rule text "vampire" (and limiting to your colors). Also, EDH is all about huge effects, and Stensia Innkeeper or Night Revelers are going to have a tough time keeping up. I like to imagine the worst case scenario, and see how the creature would do. For instance, your opponent has a Followed Footsteps on a Grave Titan. Something like Bloodline Keeper might stall a bit, but Falkenrath Reaver is just going to get overrun. 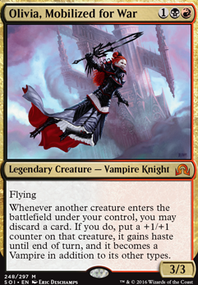 My friend has a vampire deck, and some effective bombs that I'd suggest are Anowon, the Ruin Sage, Malakir Bloodwitch, and Patron of the Vein.You could also run more solid, supporty cards like Rakish Heir, Stensia Masquerade, Stromkirk Captain, and Aphetto Dredging. Also, Basilisk Collar, Lightning Greaves, and Swiftfoot Boots are nice for your commander. IMO, burn spells are generally not as good as the straight removal some of the other people suggested. My suggestions would be Sudden Death, Sudden Spoiling, and Urge to Feed, or, if you want a burn package to finish out opponents, Burn from Within, Fall of the Titans, Devil's Play, or Banefire (all of which have some sort of utility/reusability). Finally, more draw spells make your deck much more consistent. Greed, Arguel's Blood Fast, Toil / Trouble, and Wretched Confluence. Again, the more utility/reusability the card has, the better.